First Run Features is proud to announce the New York theatrical premiere of TVTV: Video Revolutionaries, a new documentary directed by Top Value Television alum Paul Goldsmith. The film opens at New York's Cinema Village on October 19, 2018. 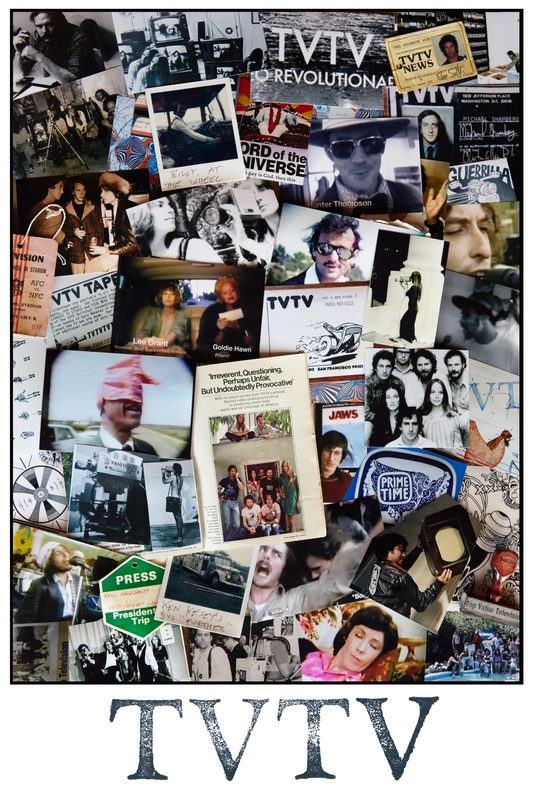 Featuring Bill Murray, Hunter Thompson, Steven Spielberg, Lynn Swan, Goldie Hawn, Abbie Hoffman, Lily Tomlin and many more, TVTV: Video Revolutionaries explores the rise and fall of Top Value Television ("TVTV"), a band of merry video makers who, in the 1970s, took the just-introduced portable video camera and went out to document the world. In those days, there were only three TV networks, using giant studio cameras, and no one had ever seen a portable camera stuck in their face, let alone one held by what Newsweek called "bra-less, blue-jeaned video freaks." Because the technology was so new, there were no rules about how to use it or what to make. So these new video journalists used the portapaks to make format-bending satirical shows about whatever interested them -- from the 1972 Republican Convention to an expose of a 15-year-old guru called "Lord of the Universe" to capturing the Steelers and Cowboys partying hard the night before Super Bowl X.
TVTV: Video Revolutionaries is like opening a treasure chest into the '70s, filled with cultural and political events hosted by now-famous characters who were just beginning their climb to iconic.